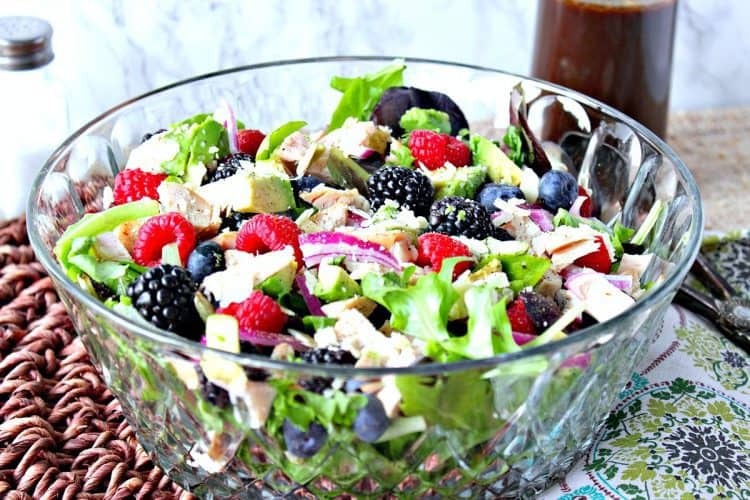 This Berry Delicious Chicken Avocado Salad is my very favorite salad. While I don’t always add chicken, I do always make my own vinaigrette. Today I’m sharing how to make my strawberry balsamic vinaigrette. 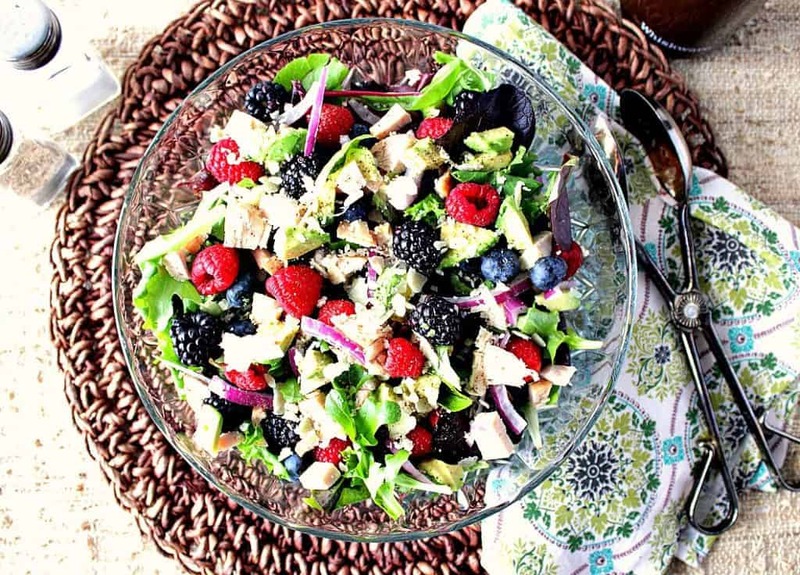 It’s a wonderfully fruity compliment to this tasty, healthy, and satisfying salad. I’ve always been a salad lover, but just over the past five years, I’ve become a “mixed” salad lover. By mixed I mean sweet and savory flavors together in one bowl. For me, it was always a savory vegetable salad I would gravitate towards, and nothing more. But now, fast forward five years and I can’t seem to get enough of a good “mixed” salad. 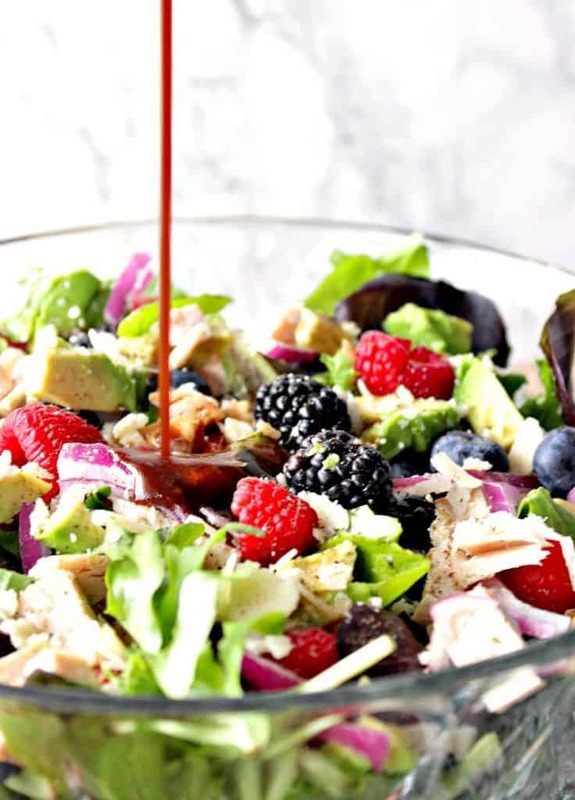 **Please Note – The printable recipe card with detailed instructions and complete ingredient measurements for making Berry Delicious Chicken Avocado Salad with Strawberry Balsamic Vinaigrette is available near the end of this post. For information regarding mesclun baby lettuce mix (such as flavors and nutrition) check out this article from Fine Cooking. I like to mix my vinaigrette in a shaker bottle and dress the salad lightly, just before serving. Sometimes I like to mix up a big batch of the vinaigrette and keep it on hand for the upcoming week. 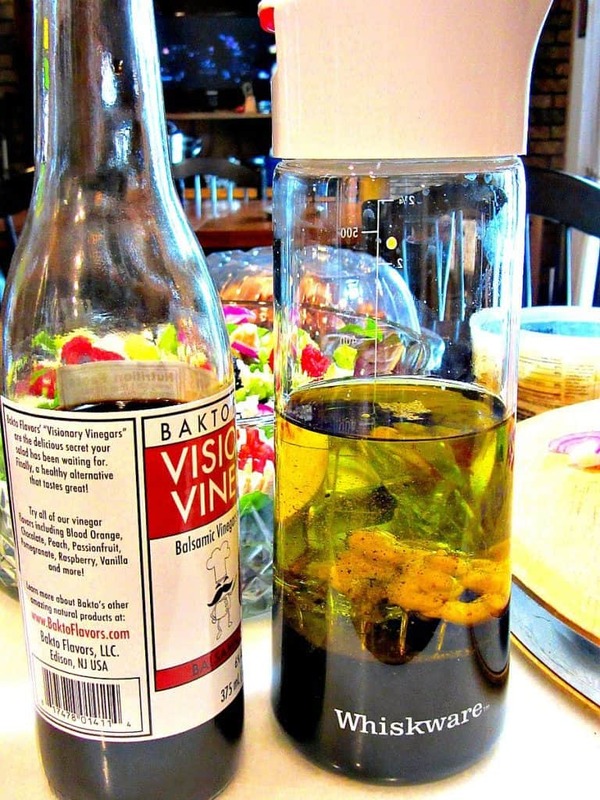 I’ve used many different flavors of balsamic vinegar and oils for a vinaigrette variation. Surprisingly enough, a small change-up of flavors can make a BIG difference in the flavor of the dressing. The ratio for making a homemade vinaigrette is always two parts oil to one part vinegar. Feel free to use your favorite oil. In the past, I’ve enjoyed walnut oil, pistachio oil, almond oil, and even pumpkin seed oil. Of course, avocado oil and olive oil are always a winning choice. Flavored oils and balsamic vinegar are some of my favorite things. As far as balsamic vinegar’s go, I’ve used strawberry, peach, blood orange, blueberry, raspberry, chocolate, vanilla and the traditional balsamic. A little sweet, a little savory, and a whole lot of tasty goodness. This salad makes a perfect light main course for when you're trying to eat lighter. Toss the first ten ingredients into a large bowl. Chill. In a jar with a tight-fitting lid, add the balsamic vinegar, oil, Dijon mustard, and garlic. Shake well to combine. Lightly drizzle the vinaigrette over the chilled salad and serve. 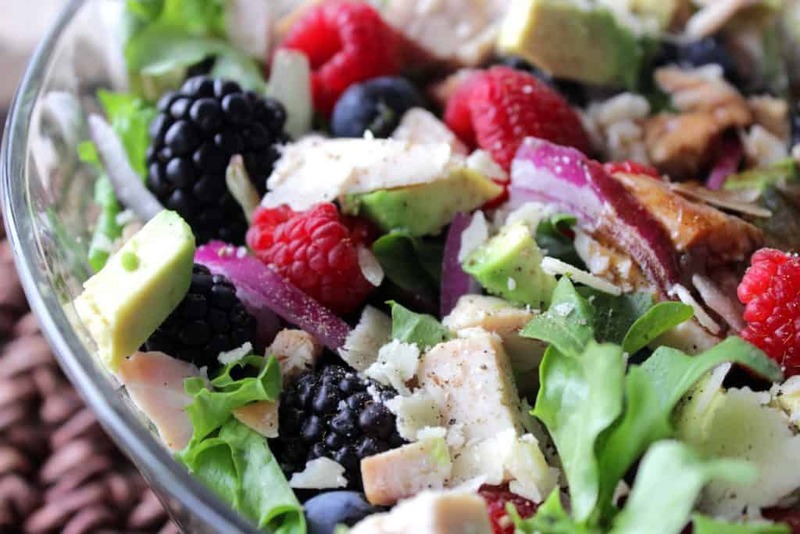 This salad can be made with or without the chicken. Double the vinaigrette dressing ingredients to make enough for the entire week (or longer). 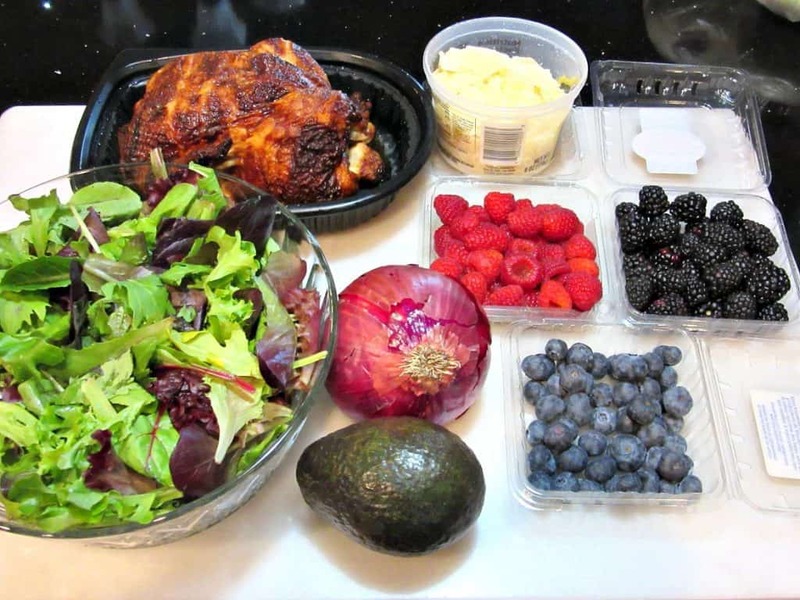 Store the vinaigrette in the refrigerator and bring to room temperature before serving. large bowl, salad tongs, measuring spoons, measuring cups, chef's knife, and cutting board. 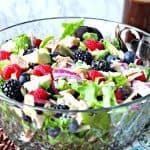 I sincerely hope that you’ve enjoyed today’s recipe for Berry Delicious Chicken Avocado Salad with Strawberry Balsamic Vinaigrette as much as I’ve enjoyed bringing it to you! 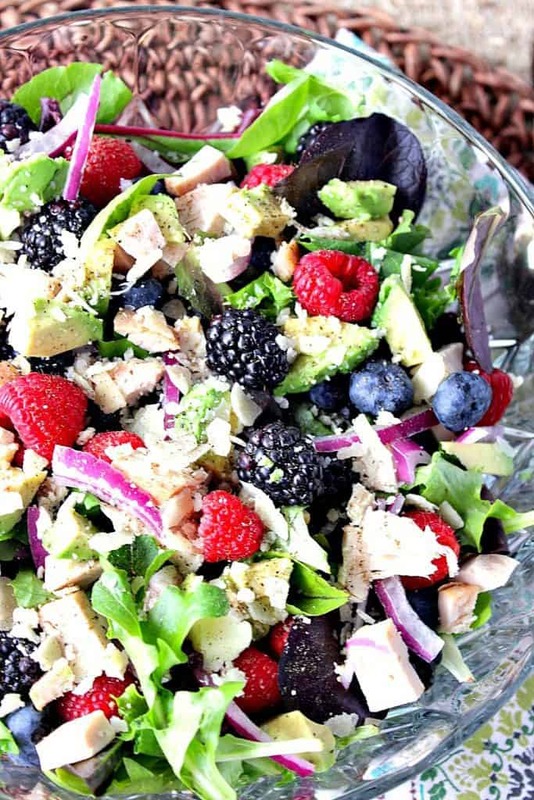 Should you have any questions regarding this recipe for Berry Delicious Chicken Avocado Salad with Strawberry Balsamic Vinaigrette, or anything else you see on my site, please don’t hesitate to contact me directly, or leave me a comment in the comment section below. It is always my distinct pleasure to get back to you with a reply just as soon as I possibly can!